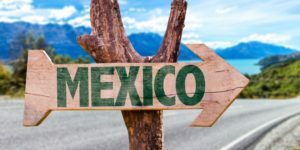 Traveling to Mexico as a tourist? Your US Auto Insurance policy does NOT cover legal liability for bodily injury or property damage caused in Mexico. Mexico Car Insurance is required and US /Canadian insurance coverage typically ends or is limited after crossing the border. Every year Mexico implements stricter laws for uninsured motorists. Not having quality Mexico Insurance can cost you money due to damage/loss to your vehicle, fines and more. Protect yourself and your family, purchase Mexico Car Insurance Today!